Thanksgiving in August and Julie Tara on Saturday AM Live! "Julie Tara is a friend of ours that understands the value of relationships like few people we’ve come to know in Nikken. She literally is larger than life whether it’s one-on-one or in front of a larger audience. Addressing issues with real solutions that impact all 5 Pillars of Health not only launched her business after a miraculous experience in her lower back from a career as a ballerina, but have sustained her. As Marty Jefferies taught me, when you understand people, you understand business. Bottom line, Julie gets people and she’s willing to share a few tips on how we can to. If you need a little firing up to have a great weekend, join Julie and me. "Read Vance's Tip of the Week! When dear friends visiting from a foreign country who just happened to miss last Thanksgiving, Christmas, and every other American holiday, the crazy family that I’m part of go all out to prepare a meal to remember. And it’s not just the food that made the night memorable, but the wild conversation and entertainment of our youngest that kept me laughing as I did my part cleaning up and carving the rest of the bird. While the laughter ensued from the dining room, the topic of relationships kept my mind racing. Relationships are vital in Nikken. Or as my friend Brody Craney texted me yesterday, ‘I love the good people of Nikken’. Sharing products is one thing, but being part of a mission to spread concepts that truly impact peoples lives forever is totally different. I think what really caught me off guard was that before, during, and after dinner we shared these life-changing products with our two friends living in Indonesia for their own issues and some of their friends who are desperate. What do other people discuss and share with friends when physical needs are brought up? I thought about this and was so incredibly grateful that we could offer solutions that can really help. I am so grateful to Nikken today and the great relationships I get to be part of. We truly get to discover it AND live it! Michelle Kowalchuk is one of the newest members of Team Kaizen. This dynamic gal has an amazing story that I truly believe is the secret to her success. Not so much that it was a ‘one foot in the grave’ type story, but simply the fact that she shares it with people and continues to do so consistently. This is the time of year that many wish to come to an end due to several environmental factors and poor sleep is the biggest one. Parts of the world have comfortable temperatures during the evening and many gather outside for concerts, dinners, etc. It’s the sleeping conditions that are often uncomfortable because the lack of what we in Nikken call a ‘climatically controlled sleep environment’. It’s not just one product, but the entire sleep system. Here in Portland, Oregon only 50% of the population has air conditioning so sleep suffering is quite common. 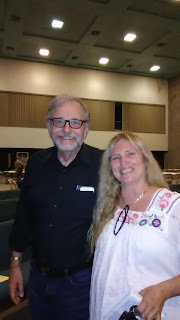 Nikken’s blog this week addresses this subject and any one of Dr. Gary Linder’s presentations on the subject is a wealth of information. We used the high-tech tool called the Internet and YouTube to have Gary share in our home last night. In less than 15 minutes he addressed a slew of health issues that really got the group thinking about these issues. What I continue to find amazing is that even though we went way longer than I’d hoped, it was the conversation about all things wellness that kept the dialogue going. People left at different times and now comes the follow up. And in the end, I was grateful that I not only got to climb into my sleep cocoon, but that we introduced several more people to the gift of Nikken and got process of discovery started. While we cannot control what their response is, we took advantage of yet another hot August night by introducing a little Nikken sizzle. 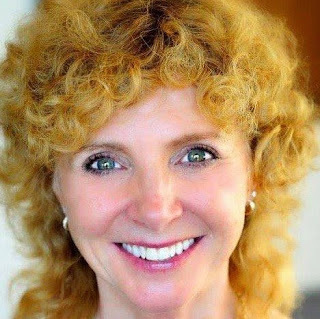 Living in Nature's Energy & Debbie Davis (LMT) on Saturday AM Live! "Known to most of her friends as the ‘Energizer Bunny’, Debbie Davis is a licensed massage therapist who loves to teach others how to create environments of health and well-being in their own homes. Using the Nikken products as she provides this wonderful service of touch, she also educates them about how she lives her life with the 5 Pillars of Health. The one thing that motivates her is to share more, knowing that there are people who still don’t know [what she knows what is true] and that she could be missing [an opportunity to serve] by not sharing." A few miles to the east of our home, is the Pacific Crest Trail. This 2650 mile trek from Canada to Mexico is hiked by 200 people annually and for our family, it’s fascinating to say the least. Let me first say that I really don’t have any interest in spending several months hiking this route, but the idea of tapping into what God put into nature would be wonderful. 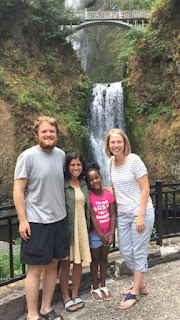 The long version very short is that on Stacey’s 48th birthday this week we met Evan and Angela while enjoying dinner in the town of Cascade Locks. This young couple started the trek on April 14th near the border of Mexico and will finish before they fly home on September 7th from Vancouver, Canada. Sure, we’re a bit nuts as a family to take in complete strangers and yet when you know that you know, it’s just the right thing to do. Last night during and after dinner we thoroughly enjoyed learning & laughing about this adventure they’ve been on. I remarked several times how they’re harnessing exactly what Nikken has incorporated into our wellness home in its purest form. Best part about Nikken today is that we truly have the opportunity to offer people the absolute impact of all of the earth’s energy WITHOUT living in the wild like the Roberts! In other words, we get to enjoy the best of God’s creation 24/7 while we sleep, sit, walk, and play. What an incredible gift we have!!!" Last Saturday Elaine Connelly provided the most incredible 25 minute overview of the Orlando experience. While I know I cannot articulate as good as she did, there were several thoughts that raced through my mind during her trailer of this two day event. New products, packaging, tweaked compensation plan, etc. What does it all mean and how does it all empower us to move forward at an accelerated pace? ‘Do you want to be well?’ is the question that I keep hearing in my head as I see what Nikken has to offer people today and with what was introduced in Orlando I feel as if we’ve been re-branded, re-launched and quite possibly re-born WITHOUT all the hype & hoopla that usually goes with something like this. The follow up book to King Solomon’s great wise writings in Proverbs is a short few chapters that have been translated into many pop culture songs. As I read this morning, Ecclesiastes 2:24 sort of jumped off the page at me. This is exactly how I feel about ‘playing’ Nikken today. We’ve been given the most incredible life-changing products, simple compensation plan, and company philosophy in the industry. I don’t say this because I’m bias, I simply say it because it’s true. Products - At least once a month I’m asked to look at a company by a friend who has ventured into this industry and give them my opinion. While I enjoy the flattery of my thoughts, I grow weary of this reverse phycology style of recruiting. Just like at the grocery store, most of the time all we have to do is take a quick look at the ingredients to see that words that must be looked up to define are probably not things we want to put in our body. Compensation Plan - With weekly & monthly pay-outs, no sign up bonuses, product packaging(new packs), and real-time rank advancement for any volume created, I truly feel that what we have now can launch people into building a residual source of income that will last for years to come. Nikken Philosophy - The 5 Pillars of Health is more than just core values, it’s a fantastic way to show people what we are striving for. In order to be a success in life, most of the great leaders in history didn’t seek just one area in their lives to pursue, they eventually came to terms with a concept of balance. Celebrities are not necessarily great leaders because they’re often put on a pedestal because they can act, sing, or play a sport a little better than the others in their field. A real leader is one who constantly seeks ways to improve every area around them. So if you’re looking for a way to have your cake and eat it too, take a deeper look at what Nikken has. Plug into some of the amazing weekly Zoom or conference calls. The folks sharing are the ones that have discovered it and are living it." Here is the real version of what I feel will be the catalyst to give our Customers & friends exactly what they're looking for. Nearly $100 discount on the Water and Energy Packs, plus free shipping on the Water Pack during the first month of sign up($45 savings). Nikken has just stepped it up a notch to prove that they're committed to helping people get the products they need at prices that even Amazon cannot compete with!